Sometimes I run because I feel like it. However, often times I run because I feel like I have to. When I get a few of the “have to” runs in a row, I mix things up by running one of Jacksonville’s many nature trails. Trail running is something I can look forward to and it reinvigorates my desire to run. The University of North Florida’s 300 acre Sawmill Slough Preserve offers five miles of nature trails perfect for running. The trails traverse a variety of habitats including pine plantations, ponds, cypress swamps and turkey oak uplands. The trails are hard packed dirt, wide, well-worn and maintained. The trails are marked and getting lost is not a concern. In many areas there are exposed roots so watching your step is a must. Because of the mature forest, all of the trails are shaded even in midday. In several areas, there are wooden boardwalks that cross creek beds. These boardwalks tend to have some algal growth and can be very slippery so it is best to slow your pace a little when on them. In fact, the “Red Maple Boardwalk” should be avoided altogether by runners as it is entirely made of wood and has many sharp turns. Access is free to the public and ample parking is located at the corner of UNF Drive and North-South Road. Parking is free on weekends and evenings. There are bathrooms near the parking area. The Jacksonville-Baldwin Trail 14.5 miles long and runs from Jacksonville’s westside to the small town of Baldwin. The trail is a City of Jacksonville park created when the city purchased an old railroad corridor as part of Florida’s Greenways and Trails Program. the west end is preferable. There are mile markers along the way. There are three free areas for parking: on Imeson Road, near the intersection with Commonwealth Avenue; off U.S. 301 just North of the intersection with U.S. 90; and on Brandy Branch Road, just north or the intersection with U.S. 90. Both ends of the trail have ample parking, water fountains and parking. The Guana River State Park is located on A1A in South Ponte Vedra Beach. The park has approximately 8.5 miles of trails that wind through undisturbed maritime forest, with marsh and intracoastal waterway views. Wildlife is abundant. During my most recent run at Guana, I saw five deer, several wild hogs and a wild turkey. The trails are wide, and color coded. You can plan your run with a trail map located at the trail head. The map provides the distances for each trail. In some places, the sand is soft which will slow you down a little. There are some exposed roots, but they are not particularly bad. 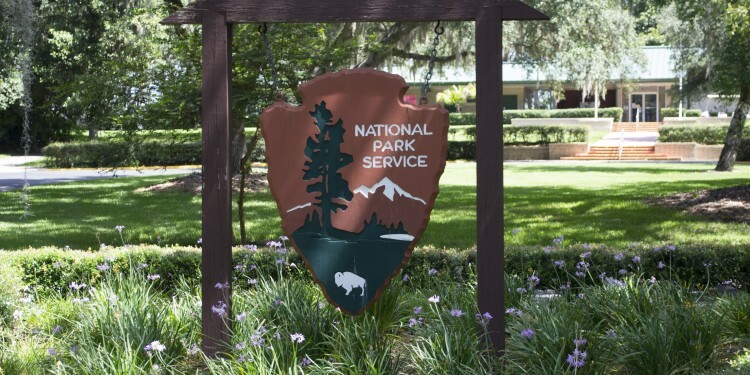 The entrance to the park is about one-tenth of a mile north of the Gate Station on A1A. There is ample parking at a cost of $3.00. Bathrooms are located near the parking area. The Theodore Roosevelt Preserve covers 600 acres adjacent to the Fort Caroline National Memorial, northeast of Arlington. The preserve provides a rare view of Florida old growth forest. It is a jungle of centuries old oaks mixed with huge pines, palm trees and thick groundcover. The trails offer a lot of elevation, with some of the steepest hills you will find in our area. The main trails are the size of roadways. Off of the main trails are many winding narrow trails. Wooden boardwalks cross swampy areas. The trails are well cleared of debris; however, care must be taken to avoid tripping on roots, some of which protrude several inches above ground. Access to the park is free. 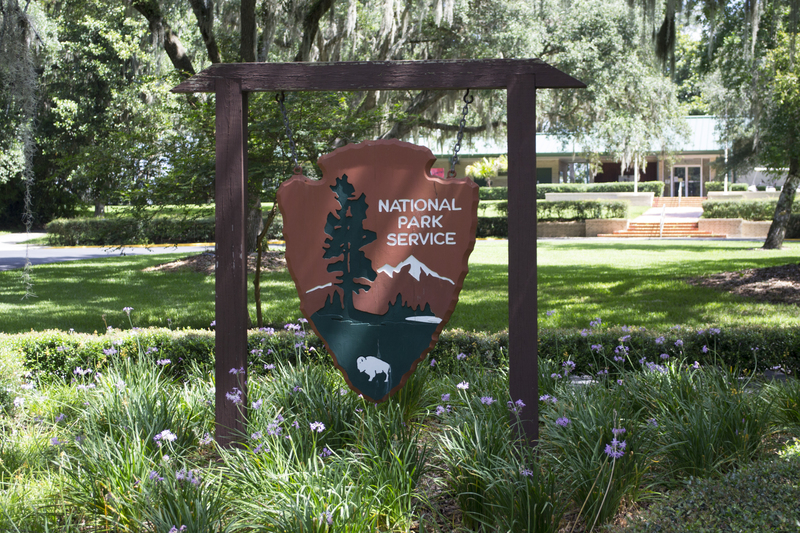 A parking area is located next to the Timucuan Preserve Headquarters located at 13165 Mt. Pleasant Road. A second parking area is located on Ft. Caroline Road about ¼ mile north of the intersection with Mt. Pleasant Road. Hanna Park is a 450 acre City of Jacksonville park located oceanfront just north of Atlantic Beach at 500 Wonderwood Drive. The park features over six miles of running trails and more than ten miles of off-road biking trails. The trails take you through small but steep hills that twist and turn through an oak and palm forest. Because of the many blind turns staying off of the biking trails is necessary for safety. The trails are not as well maintained as some of the other parks you may have to negotiate a branch or two. There are several parking areas. Admission is $3.00. There are bathrooms located in several areas. Hopefully, you will get the opportunity to enjoy running some of our local trails. The fresh air and tranquility may provide you a very welcome change of pace.